Though he’s expressed an interest in reprising the role of Professor X further down the line, following Apocalypse, James McAvoy’s tenure in Fox’s lucrative X-Men universe has effectively been put on ice for the time being, thereby allowing the Scottish actor to seek pastures anew. Of course, his ties to the mutant franchise have in no way prevented McAvoy from snapping up roles in the past, after featuring across Victor Frankenstein, Filth and Danny Boyle’s psychological thriller Trance over the years. Nevertheless, Deadline reports that the actor is now circling back to full-blown sci-fi territory for Extinction, a new action-thriller hailing from Good Universe and Mandeville Films. A self-confessed science fiction nut himself, McAvoy will anchor the pic as a troubled man fending off unsettling nightmares of his family in peril. That feeling of unease is amplified to the nth degree when an extra-terrestrial force descends into low Earth orbit, and it’s not long before McAvoy’s father and chief mechanic realizes those invading might not be what he initially expected. Simmering on the fringes for a few years now, it was Joe Johnston that was originally in line to direct; however, Deadline notes that the studios are now on the hunt for a new filmmaker to take point at the helm for Extinction. 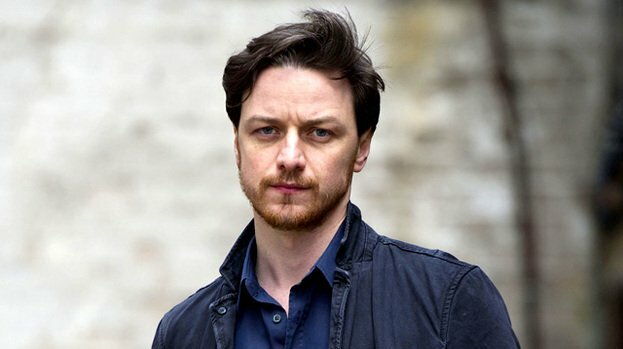 When he’s not fending off extra-terrestrial invaders, James McAvoy will be a part of M. Night Shyamalan’s new film Split. It ought to lend the Scotsman plenty of dramatic material to thrive on, too, given he’ll be portraying a man harboring a personality disorder come January. An excursion to The Coldest City with Charlize Theron is also in the cards for the actor.